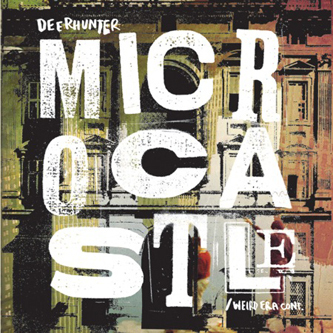 You don't need to spend a great deal of time with Microcastle to realise how great a band Deerhunter are becoming. While Cryptograms was a mixture of strange electroacoustic experiments and effects-soaked indie rock, Microcastle sounds like a far more honed piece of work, placing a greater emphasis on structure and more disciplined sound engineering. Perhaps frontman Bradford Cox has been able to sufficiently exorcise his penchant for avant-garde electronics via his Atlas Sound solo project, because Microcastle - as ambitious and sophisticated as it is - never permits flights of fancy. Even on the most obscure tracks, as on 'Activa' there's a very defined sense of song structure, and before the freetime peculiarity of it all gets out of control, it's one-and-three-quarter minutes are up and along comes a taut bass and drums figure, heralding the brilliant 'Nothing Ever Happened', a song that somehow combines the ice-cool aloofness of Sonic Youth with the indie rock know-how of Interpol, all held together by a rhythm section that's somewhere between Radiohead and Can in terms of its tightness and fluency. 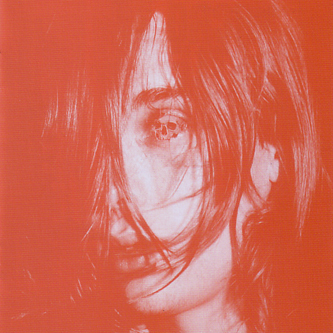 There's little evidence of the potentially career-crippling pigeonhole silliness of the 'nu-gaze' tag - a movement Deerhunter were credited with spearheading a couple of years back; while texture and inventive, sound-sculpting production are still very much a part of this band's idiom, it all sounds very firmly rooted in the 21st century, and on tracks like 'Little Kids' the band's rethink on how to present a guitar/bass/drums format comes across as strikingly effective, balancing noisy, experimentation with the infectious repetitions of unabashed pop music. Brilliant.